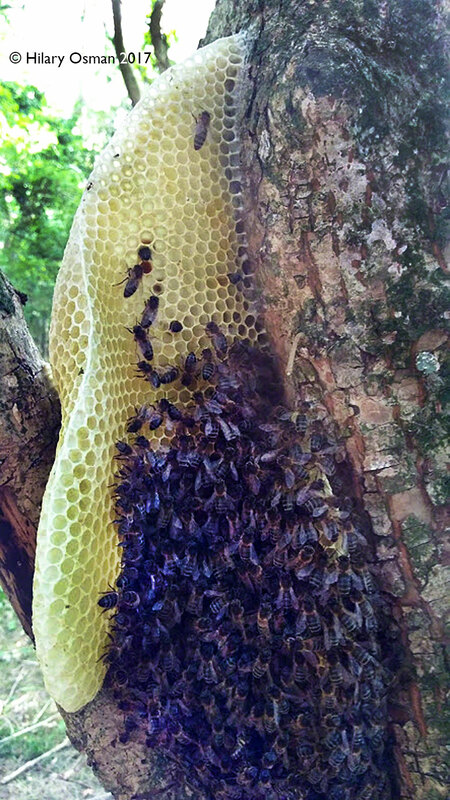 Swarm making wild comb on a tree trunk. First of all is it a swarm? If you are panicking that you have a swarm first see what the insects look like and how big they are. Do they look like any of these? 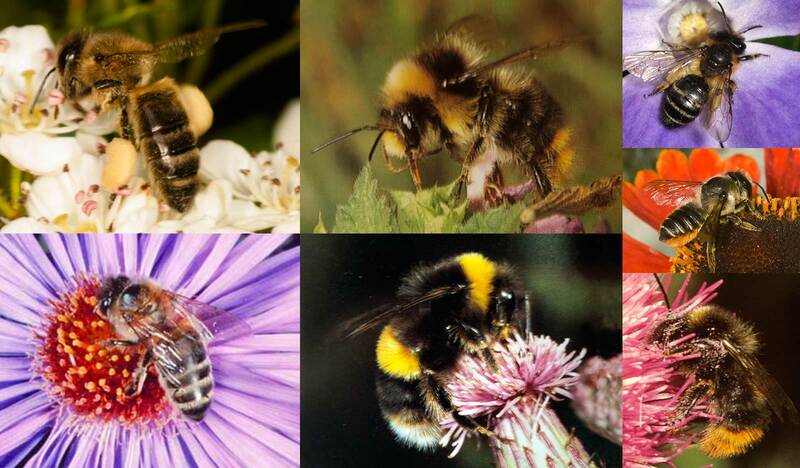 The two on the left are honey bees and the three on the right solitary bees; the two in the middle are bumble bees. If they are bumble bees there will be relatively few and they are ‘fluffy’, while honeybees are slimmer and would be present in the thousands. So, it could be a bumblebee nest or lots of solitary bees. 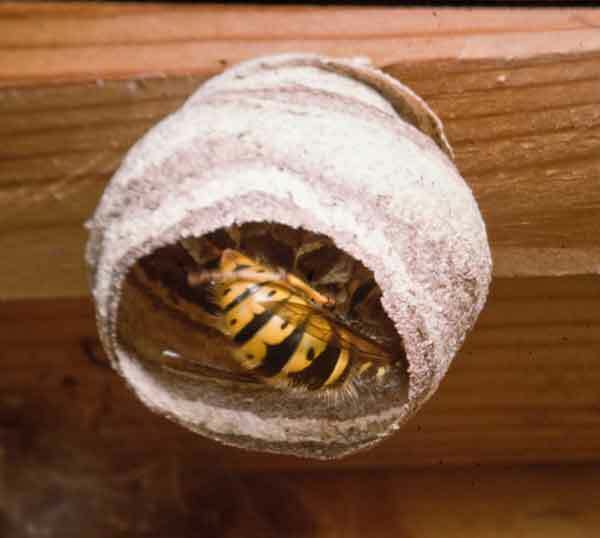 Or even a wasps’ nest. You can visit the British Beekeepers Association for further information. These are usually much larger than honeybees and build small nests in compost heaps, under sheds, in loft insulation etc. 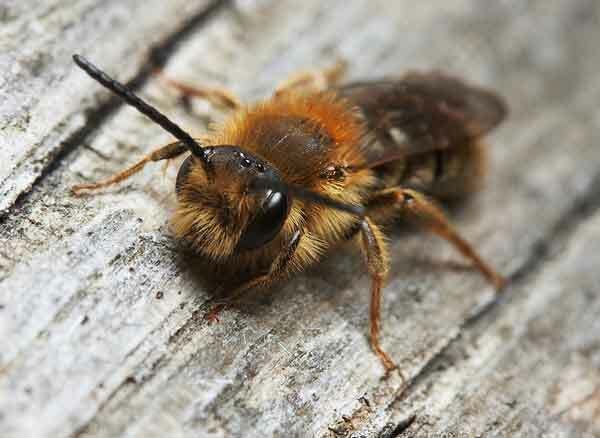 They also frequently take up residence in bird nest boxes using the old bird nesting material as part of their nest; they are relatively small bumbles bees but can appear to be in large numbers, but no self-respecting honeybee would find a nest box suitable for home – far too small. Leave them be (excuse the pun) and enjoy watching them. Bumble bees are very beneficial and not a problem if left alone (although they can make a lot of buzzing noise if above your ceiling!). The queens overwinter then set up home in the spring. 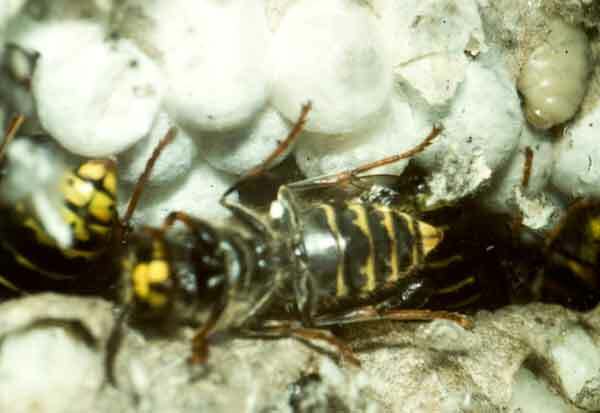 By early winter she dies as do her workers, her young queens having left to hibernate. 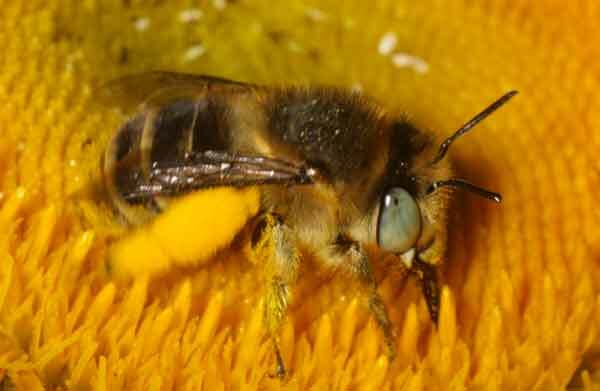 Details about these bees are available in a leaflet you can down-load. 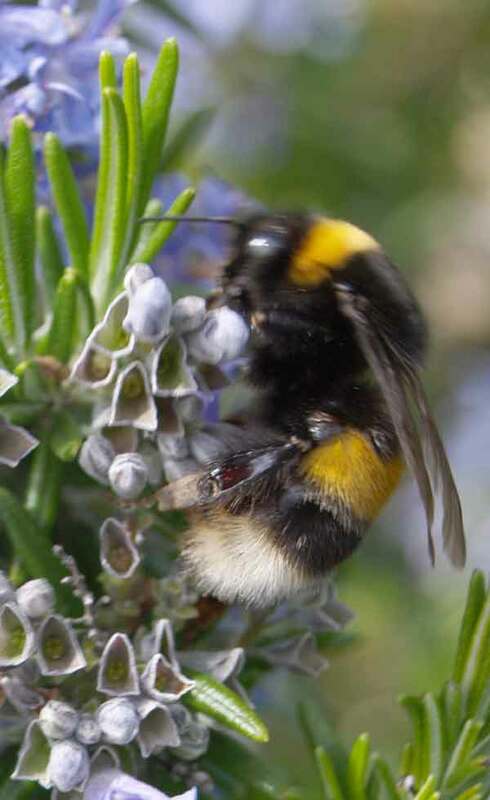 For further information on Bumble Bees . 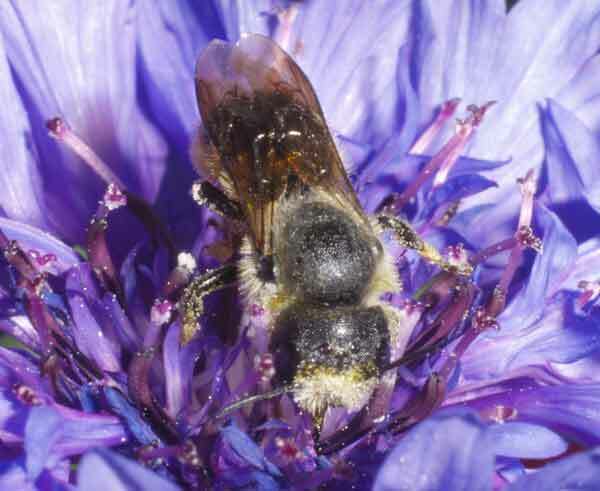 Solitary bees can be found living in burrows in lawns, sandy banks, walls and even in the stems of plants. 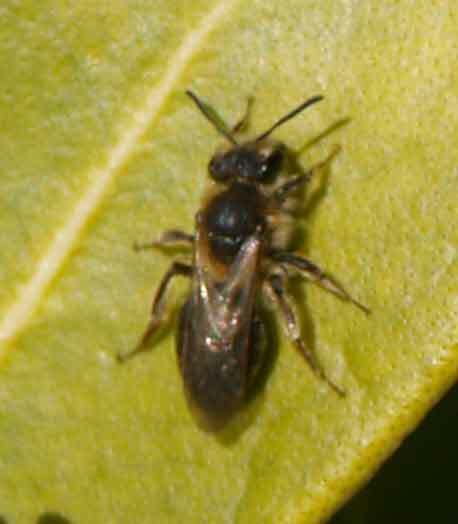 Early in the summer lots of solitary bees in a lawn or bank can give the appearance of a swarm as lots of bees can be very busy coming and going like residents in a block flats all leaving to go to work in the morning. 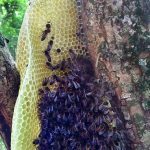 Honey bee colonies are super-organisms; individuals can not survive on their own, they live and work together as a whole like the cells in your body. 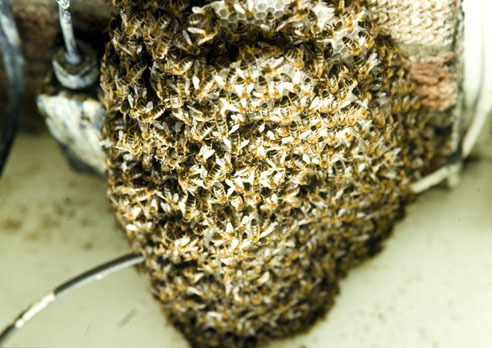 To reproduce a colony swarms, something that can be very spectacular and quite intimidating. The thousands of bees that leave the colony with the old queen are usually perfectly content and not intent on stinging; they are full-up with food and looking for a new home. The mass of flying bees settle and rest on some convenient structure (for them) such as a hedge, on a branch, side of a wall. Scout bees then search for somewhere to move to. Once found the swarm lifts off and flies to its new home which can be inconvenient for you. 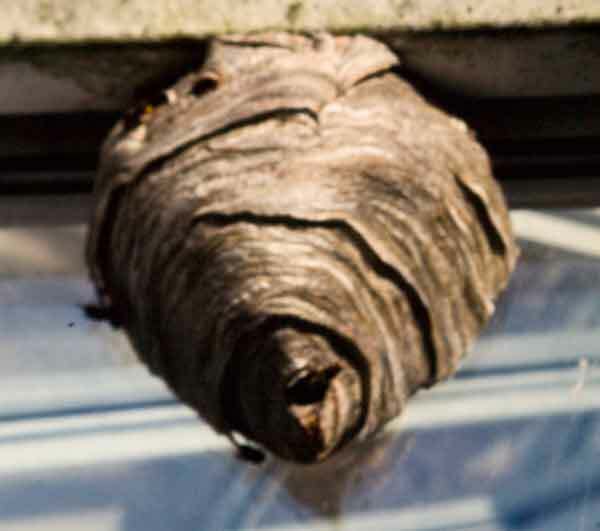 If you have a swarm of honeybees in your cavity walls, chimney or soffits it is unlikely that a beekeeper will to be able to remove them and you would have to seek professional advice (ensure that whoever you get is qualified and insured). 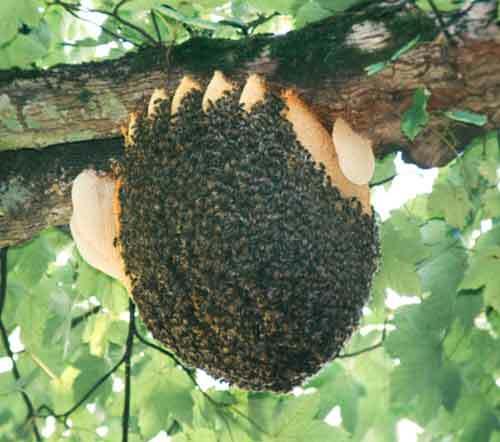 If you have a swarm that is not in a wall, chimney or roof and you want to get rid of … DON’T PANIC … a beekeeper will probably be able to remove it. Swarms are few and far between now. 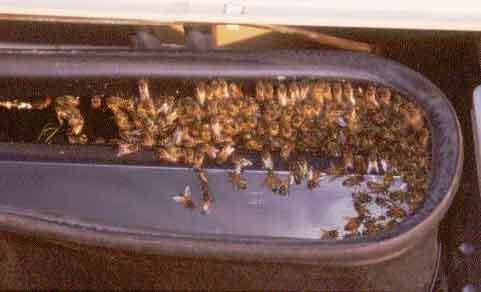 Gone are the days when there would be half a dozen calls in a day so if you are lucky enough to be asked to take a swarm jump at the chance. 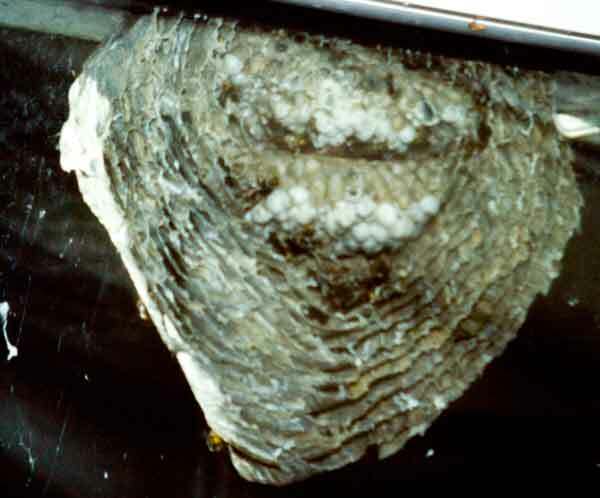 Taking a swarm can be a piece of cake or a nightmare, try and avoid the latter (high in a tree, up a chimney, in a roof …). 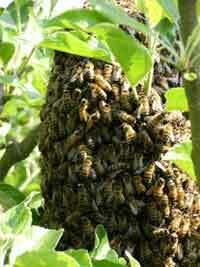 Download Swarm Collection Guide Guide to help you take a swarm. This is aimed at the beginner and offers useful advice. 1. Healthy Bees Plan Quarterly Newsletter for all those interested in honey bee health Issue 2 January 2010 from FERA. 2. Insect Pollination issued by the Parliamentary Office of Science and Technology.